We’d like to thank all of our customers in the Phoenix Area for making our company what it is. We would not be a success without you and are very grateful that you chose Seatech to install and/or maintain your aquarium. Seatech has been in business for over 10 years, and most of you have been with us since our inception. Your business is very appreciated! 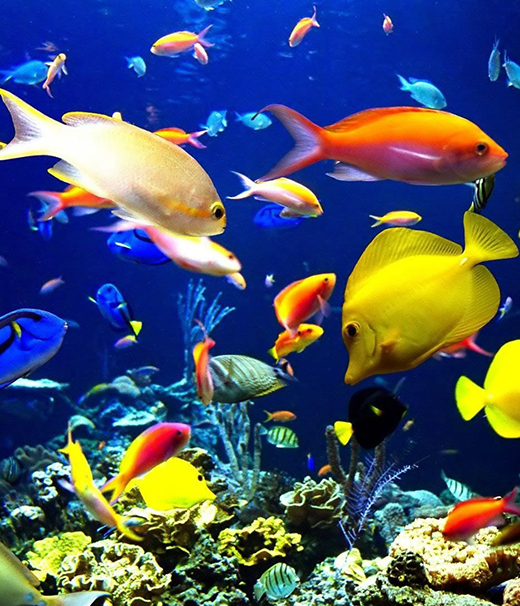 Seatech specializes in Saltwater and Reef Tanks, however we do have extensive knowledge in freshwater as well. Our main goal here at Seatech is to ensure that you, the customer, are satisfied with your install and/or maintenance, and that we provide an honest and punctual service. We pride ourselves in providing excellent service, having integrity and punctuality. Whether it is a custom install or a scheduled maintenance on your aquarium, our promise to you is that we will be on time and provide you with a service that is unknown in the industry. We are not the cheapest, nor are we the most expensive, however we are very competitive in our pricing. Our current customer’s aquarium sizes range from 30 gallons up to 900 gallons, so we feel that we can handle any size aquarium in your home or office. Whether you need design consultation, a custom or standard install and/or maintenance, we can handle the job and handle it with the utmost professionalism. We are pleased to service the entire valley for Aquarium Design and Re-Design, New Setups, Cycling New Environments, Live Stock, Hardware, Aquarium Maintenance and more. We back our service with endless client testimonials and an industry first, 6 month live stock guarantee when signing up for our professional maintenance programs and having your aquarium meet the Seatech standard. Contact us today to see our difference. Seatech Aquariums is your complete source for salt water aquarium design, setup, stock (fish and marine life) and tank maintenance. Need Fish, Food, Chemicals, RODI Water, Hardware and more, we will help. Seatech Aquariums is your best choice when you decide to pursue your hobby and professional freshwater aquarium. We help with aquarium setup, installation, live-stock, freshwater plants, lighting, oxygen systems, chemicals, hardware and much more. Seatech Aquariums can help out even the most experience aquatic experts when it comes to reef tanks and aquariums. We provide maintenance, chemicals, RODI water, the latest technology in filtration, lighting, wave makers and more to protect your investment. Looking for rare corals or frags? We have access. Seatech Aquariums puts customer service first with our professional aquarium maintenance packages. Sit back and enjoy your Aquarium while we handle keeping your livestock living, water changes, chemicals, hardware replacements, scratch free glass and acrylic, and more. Say Hello. We Don't Bite.